I don t want to be an accountant, why is accounting relevant to me? I intend to manage a business, so why do I need to know about accounting? Why do I need accounting information to make business decisions? These questions are answered and the integral role of accounting information in business is established in Accounting: Business Reporting for Decision Making, 5th edition. Written for students who are studying accounting for the first time, the text introduces, explains and applies basic accounting principles relevant to all businesses from sole traders to large organisations. 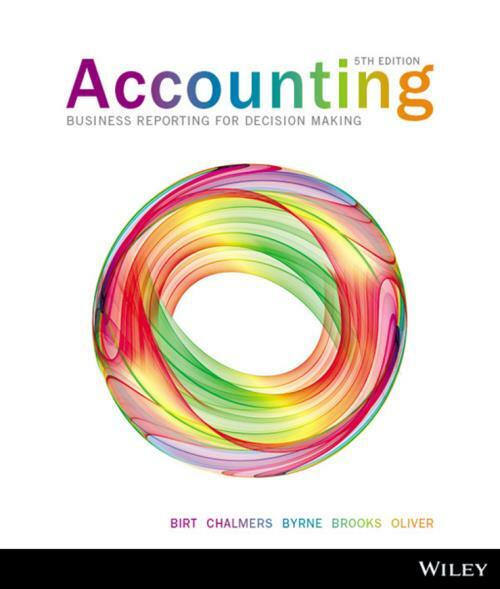 The text presents fundamental accounting topics, interprets typical business reports and illustrates how knowledge of these topics and reports are used to make business decisions. The text emphasises the conceptual foundations and business application of accounting information, providing clear explanations so you the student can appreciate the significant and valuable role of accounting in business. Wiley wishes you success with your accounting studies.